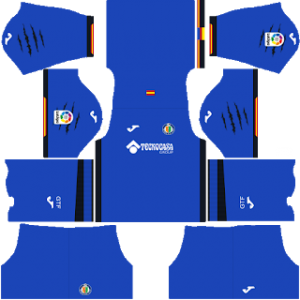 In this article, you can find and download Dream League Soccer (DLS) Getafe Kits and Logos 2018, 2019 Edition with URLs. Getafe is a professional Spanish football club that plays in La Liga. The club was founded in 1946 and refounded in 1983. Getafe is participating in the top level of Spanish football for 12 years now and has been pretty consistent in playing the Spanish League. Getafe plays its home matches at the 17,393 seater Coliseum Alfonso Pérez according to Wikipedia. José Bordalás is the manager of this dynamic Getafe side. To download the kits and logo for Getafe in Dream League Soccer, read the other half of the article. 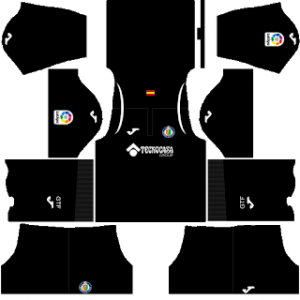 Download Getafe Dream League Soccer Kits from below URLs. Great news for the ones looking for Getafe kits and logo for the 2018-19 season. This is the right place to find the combination of home, away and gk kits. All of the kits are in the size of 512×512. You can find and download the kits from below. Getafe plays its home matches with this dark blue colored attractive home kit. The kit consists of the clubs logo and the name of the sponsors. There is an official league stamp on the sleeves portion. The Getafe away kit is red in color with few yellow stripes covering the kit giving it a rough look. The kit is used to play away matches which takes place at the opponent’s home stadium. The Getafe gk home kit is full black with few white stripes which gives the kit a classic look. The kit is very attractive and the Getafe goalkeeper wears it at the away matches played. 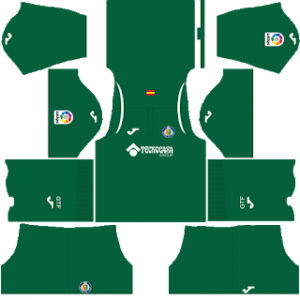 The dark green color is the symbol of the Getafe gk away kit and dominates in all colors of the jersey. 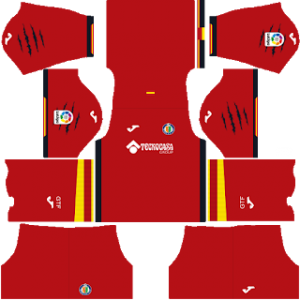 You can use this kit in the Dream League Soccer 2018 game for your team. The official logo has the green and red color shield in the center of the logo with a football on top of it. At the bottom, the full name of the club is written to make the viewer clear about the logo.